The Small Business Innovation Research (SBIR) and Small Business Technology Transfer (STTR) programs (www.sbir.gov) enable small businesses and small businesses collaborating with universities, respectively, to compete for opportunities to solve selected R&D challenges faced by various government agencies within the United States. 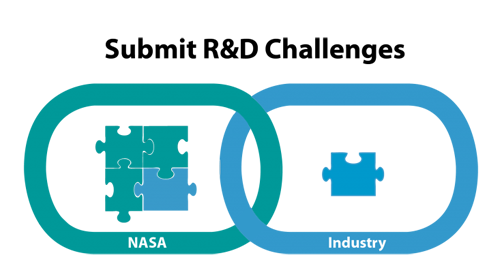 Similar to other agencies, NASA’s SBIR/STTR programs (sbir.nasa.gov) generally have 3 phases: Phase I (6-month study on scientific, technical, and commercial feasibility), Phase II (24-month development, demonstration, and delivery of the innovation), and Phase III (reaching successful commercialization – no SBIR/STTR funds). NASA announces a Phase I solicitation each year (typically open November through January) and grants Phase I awards thereafter (typically in April). Successful Phase I recipients are often invited to participate in follow-on Phase II competitions. The R&D conducted by Phase I and Phase II winners is designed to complement the internal R&D conducted within each NASA Center including GSFC. Solicitation subtopics are harvested from GSFC researchers and a down-selected set is included in the NASA-wide solicitation. Awarded projects based upon GSFC-submitted subtopics are generally managed by the SPO but are specifically managed by the designated Contracting Office Technical Representative (COR) within GSFC. Who can submit a GSFC SBIR/STTR subtopic for consideration? Any civil servant working at NASA GSFC. Contractors cannot submit subtopics. What constitutes a viable SBIR / STTR subtopic for submission? Any R&D need that would substantially impact a strategic thrust by NASA can be considered. Why should a GSFC researcher submit subtopics for consideration? NASA’s SBIR/STTR programs are designed to foster entrepreneurial innovations while simultaneously solving critical NASA R&D challenges. Monies allocated to the program do not cannibalize existing NASA R&D budgets. So, submitting a subtopic for consideration is a win-win for the NASA researcher and innovative entrepreneur. When should a GSFC researcher submit a subtopic, to whom, and how? Contact the SPO’s Aprille Ericsson or Ramsey Smith to learn more about the schedule for SBIR subtopic harvesting or visit NASA’s SBIR/STTR program web site.